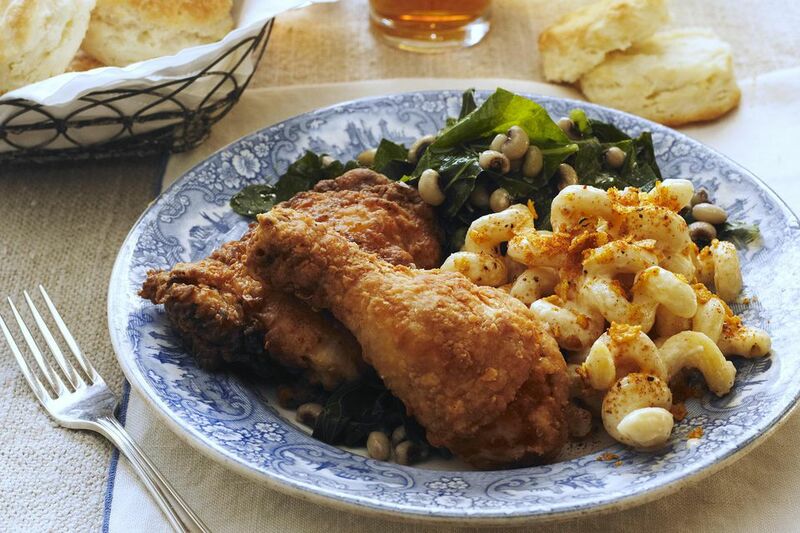 The term “soul food” didn’t become common until the 1960s. With the rise of the civil rights and black nationalist movements during the 1960s, many African Americans sought to reclaim their part of the American cultural legacy. As terms like “soul brother,” “soul sister,” and “soul music” were taking hold, it was only natural that the term “soul food” would be used to describe the recipes that African Americans had been cooking for generations. The term may have first been used in 1962 by civil rights activist and poet Amiri Baraka. Sylvia Woods opened her now-famous Harlem restaurant Sylvia’s in that same year; today, Woods is known by many as “the queen of Soul Food.” Soul food restaurants and cookbooks continued to be popular through the ’70s. Soul food is basic, down-home cooking with its roots in the rural South. The staples of soul food cooking are beans, greens, cornmeal (used in cornbread, hush puppies, and johnnycakes and as a coating for fried fish), and pork. Pork has an almost limitless number of uses in soul food. Many parts of the pig are used, like pigs’ feet, ham hocks, pig ears, hog jowl, and chitlins. Pork fat is used for frying and as an ingredient in slowly cooked greens. Sweet, cold drinks are always a favorite.